The latest from the G.O.O.D. Music president. 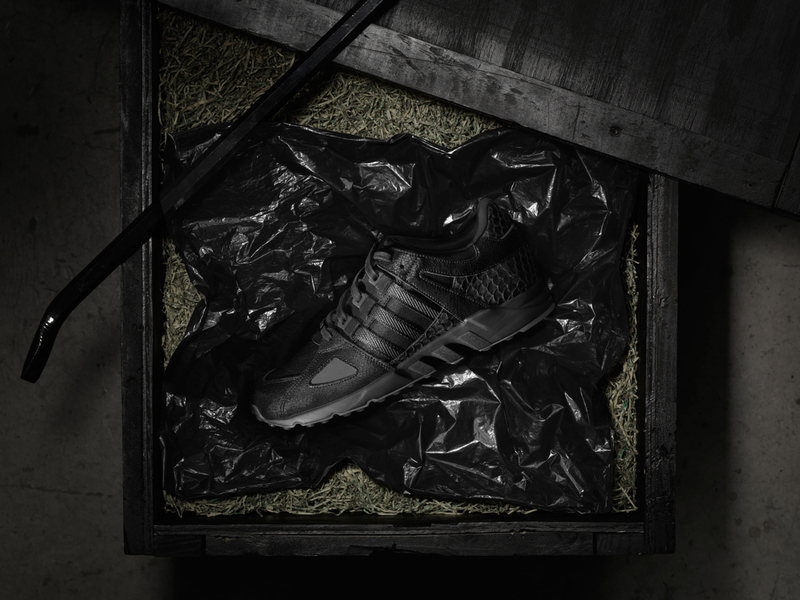 You've gotta hand it to adidas for being willing to get so direct with the Pusha T x adidas sneakers, the first of which was a crack-colored tribute to the rapper's hustling past. For their second go-round, the two flip the beige look of that shoe into this, the "Black Market" adidas EQT Running Guidance 93. 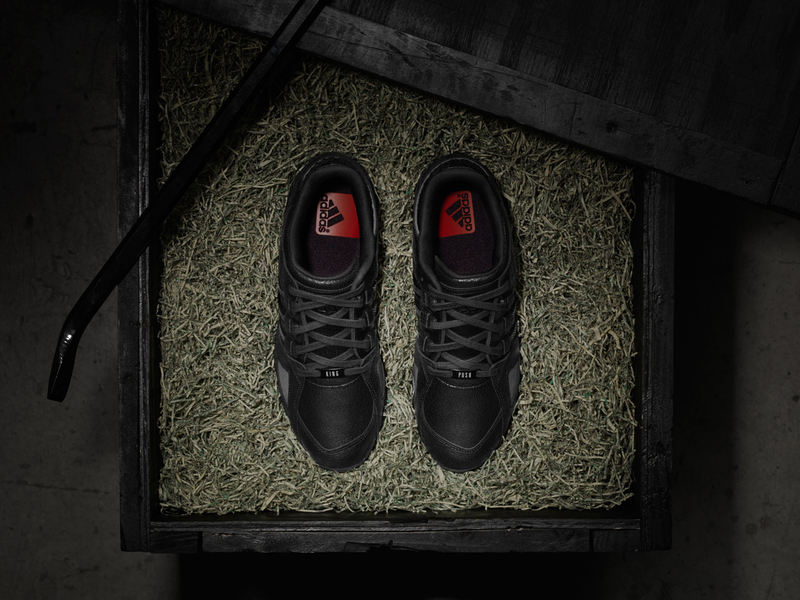 The shoe has the same fish scale and crackled combo on its upper, but this time around with a lights-out colorway. This official look at the shoe amps up the theme with an accompanying video and product shots that make things seem more illicit. 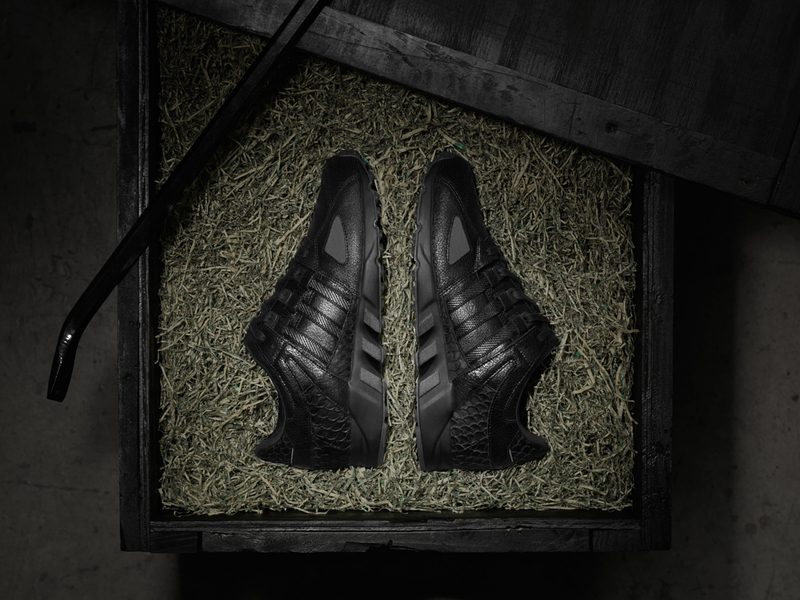 As announced by adidas last night, the Pusha T x adidas "Black Market" design will release on Black Friday (Nov. 27) via adidas. 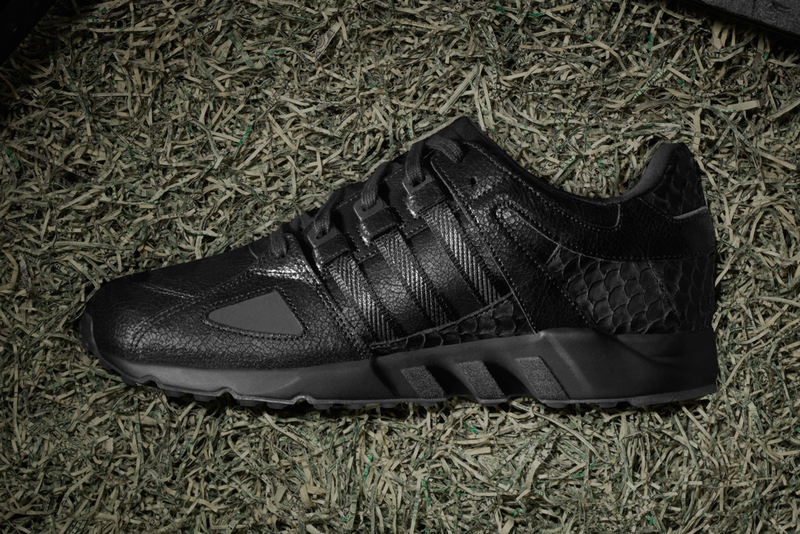 Pusha T x adidas Originals EQT Running Support 93 "Black Market"